The IONICA brand has evolved in the past 25 years and is growing stronger every day within the Australian Funeral Industry, the local European community and our partner networks throughout Italy. IONICA is Australia’s premier supplier of solid timber Italian coffins, caskets and funeral accessories. is a family owned and operated business established on the core values of Quality, Service and Loyalty. Every IONICA coffin and casket is traditionally hand crafted to the exacting standards set by the Vatican, while our pure ivory silk and solid brass fittings hold true to centuries of care, devotion and expertise. It’s why every IONICA product is personally signed and guaranteed by our manufacturers in Italy – and why you can rest assured in your decision to choose our proud works of art to honour your own legacy. Handcrafted with Care and Devotion. We at Adriano Coluccio Funeral Services have had a long standing relationship with Ionica. We have been using Ionica coffins for well over 20 years. The quality and craftsmanship of their products is unmatched in the funeral industry. That is why we always recommend Ionica coffins and caskets to our discerning clients who seek only the best for their loved ones. Indeed, Ionica has been our choice to fittingly send off even our own loved ones. Thank you for the outstanding, professional and friendly service you have given us throughout the years. 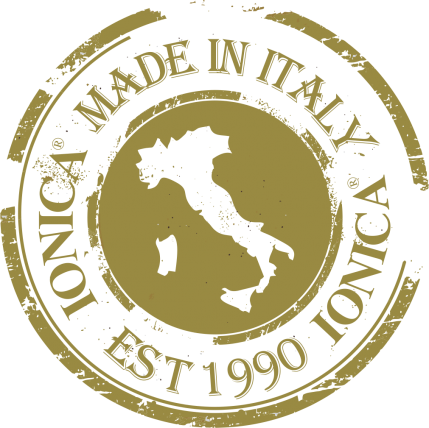 Ionica, truly Made in Italy! All the staff including founder the late Phil Carlino have been professional in all areas of service. From efficient deliveries, quality of stock etc. All Ionica staff are so beautiful to deal with. Bravo to you all. Thank you Domenic, Elisabeth & George.